Colin Seymour is a Systems Engineer at Github working from the UK. Prior to becoming a full time developer and systems engineer, I was a principal Enterprise Support Engineer and prior to joining GitHub, I was a Principal Support Engineer in the Solaris and Network Domain (SaND) of Sun Microsystems and then Oracle Corporation following the acquisition and had been working for Sun/Oracle in a support role since January 2001. 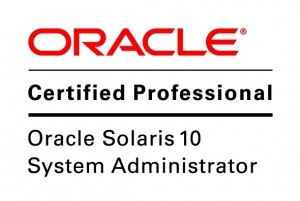 My primary fields of "expertise" at Sun/Oracle were in Solaris (all versions from 2.6 to 11), OpenSolaris, Linux, networking, Sendmail, ZFS, zones, security, jumpstart, shell scripting, logical domains and pretty much anything that is considered part of the operating system. I have extensive knowledge in other fields that are not part of my day-to-day job including, but not limited to, storage software products supplied by Sun (e.g. NBU, VxFS, VxVM, EBS, SDS), Sun storage hardware products from prior to the StorageTek acquisition (e.g. SE3xx0, SE69xx, A5xx0, T3 etc), other operating systems (Redhat/Suse/Ubuntu/Oracle Linux, Windows XP & 7, Apple OS X) and various other products - listing them all could take some time. In my free time I contribute and help develop Habari and it's themes and plugins and I am a member of the Habari Project Management Committee (PMC). I also contribute to the OpenStreetMap project where I can. This site is the home to my random technical ramblings. The intention is to offer information and help in subjects that have stumped me or are of particular interest to me, and that may be of use to others out there, with a slant towards Solaris, Linux and now Git, GitHub and Ruby now I work for GitHub. Theme: I'm not at liberty to say :wink:. If you have any comments regarding any of my posts, please feel free to comment on that particular post. Sorry, I'm not for hire right now. I've only just joined GitHub and there is no way I'm venturing elsewhere this early in my employment.